Yesterday my phone froze after finishing a call. The phone seems to work, i get notifications that I get messages/emails and the wifi is on. However, the phone do not respond to any touch when in that freeze mode. The screen looks like its stuck in the cover flip mode, but I do not own a flip cover nor have I ever used one. I went to a "mobile doctor" and they opened it to identify what was the problem but could not see any damage to the motherboard or the screen. They said that they have never seen an error, in this way..? I pressed the home button, volume and power button and successfully got in to the reboot menu, where I rebooted it but when I started my phone again it got stuck in the same fashion. Have anybody seen/heard of a problem like this, and possibly have a solution for it? (Also I got a small crack in the glas above the screen next to the camera, but it used to work fine until yesterday (which also means that I wont get any warranty on it). Thanks for the tips Ajinkya Datalkar. 2. I just flashed my device with the latest firmware using ODIN but still got the same issue. 3. Like I mentioned I mentioned even though I still have the warrany I'dont beleive Samsung will not take my phone because of the small crack in the glas. I tried to whipe the partition a minute ago, but it was however unsucessfull. One more thing, once the phone came to life for about 10 minutes, and I could use it as regular and set up all the accounts, and redownload all the apps from Google Play, but after a while it got back in to the same error. 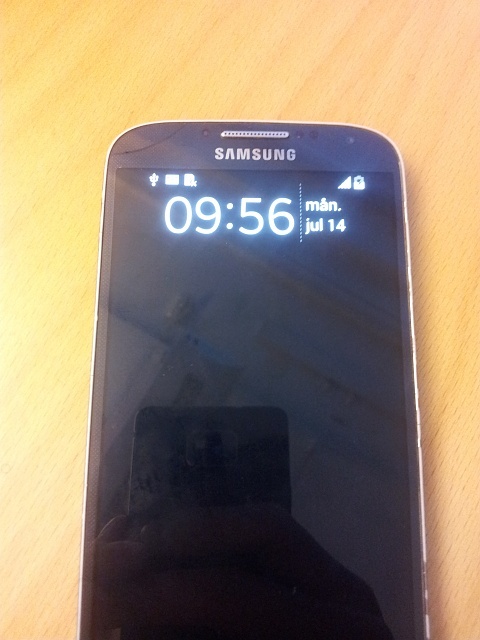 Rooting the Samsung Galaxy S Fascinate (SCH-I500). Where on the Galaxy S4 is NFC located?